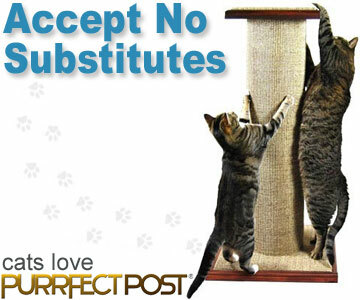 Home Cat Care Vaccines Why Vaccinate Cats? Nobody likes needles. But we need to get past our quirky dislike of those little sharpies to embrace the benefits of vaccinations for our cats. Vaccination of the cat population has allowed us as owners and veterinarians to reduce the risk of serious consequences of certain illnesses in the cats we love. Side effects to vaccines in cats are rare. When they do occur, they are usually mild (transient fever, swelling at the injection site, lethargy) and pass in a day or two without specific treatment. Vaccines are a very economical way to deal with serious diseases in cats. If an unprotected cat contracts any one of these serious illnesses, thousands of dollars in veterinary bills may result, and the cat may suffer death or permanent disability from the infection. Compare that with the few dollars a vaccine costs, and it should be obvious that they are a great investment in your cat’s health. Vaccines do not have 100% effectiveness for prevention of infection or illness, but in those cats that do not develop full protective immunity, either due to nature of the vaccine/disease agent, or due to partial response by the cat, vaccination can still significantly reduce the severity of the illness if it is encountered. Unvaccinated cats are a risk to other cats, especially kittens that are still in the process of getting their vaccine series, and also to other healthy cats not protected fully by vaccinations. Boosters are essential for cats—a single dose of vaccine does not build lasting immunity. The immune system needs to be stimulated with an initial dose of vaccine, and then one or two more are given in fairly close succession in order to “prime” the cells that mount protective antibody responses. Do not skimp on follow-up for either the adult boosters or the initial kitten booster series. The vaccine regimen selected by your veterinarian will be customized for each cat based on the lifestyle of the cat (travel, show, boarding, breeding stock, solo indoor or outdoor pet, multi-cat household), your cat’s general health and reproductive status, and your geographic region.